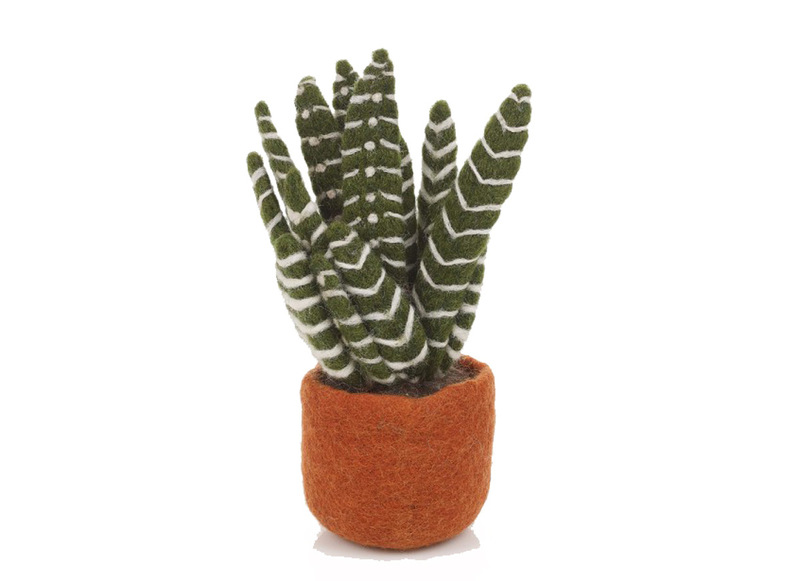 Not as prickly as real cacti, these felt plants don't even need water, so are perfect for even the most inexperienced gardener. Handmade in Nepal, they make a beautiful decoration for the home or office desk. When you purchase a Felt So Good product you are supporting ethical practises and continuing to keep amazingly skilled ladies securely employed in an environment that has great working conditions, pays fairly and enables them to be independent. It was whilst travelling through Nepal that Felt So Good’s founder Adele came upon the vibrancy and potential of handmade felt and the lovely people behind its creation. Through meeting with and researching these small cottage industries, Felt So Good was born. Many of the Nepalese craftspeople in Felt So Good’s employ use techniques and skills that have been passed down through countless generations. It is with this artisan history in mind that Felt So Good strive to support and promote ethical practices to ensure a fair wage and excellent working conditions. They believe in maintaining strong working relationships with their craftspeople. To ensure that the ethics and standards behind Felt So Good are being built upon, they visit suppliers regularly. These visits are also a great opportunity to meet with and develop lasting relationships with their Nepalese employees and to advocate and promote a fairtrade environment.